Vacation time is wrapping up in Reyk! We're starting to see a lot more activity from CCP as people trickle in from their vacations. Things are also starting to heat back up on the forums and such. By now, you know that Odyssey 1.1 is going to be released very soon but I don't believe the code is locked yet. That makes for a lot of very busy devs at CCP as they wrap up this between-releases-release. Other than the ship re-balancing stuff (which I'm always a fan of), I think my favorite mini-feature this release are the new jump clone skills. Unfortunately, I am not very happy with the 19 hour limit on the new skill Infomorph Synchronizing. I personally think it is the worst of all possible solutions: a new skill that only provides a very minor benefit for vets with too many other skill trained so they can have yet another advantage over newer players. I argued long and strenuously for a more compelling skill with a larger benefit for training it. In particular, days of training to pick up that last Level V one hour bonus? Ugh. No, make that ugh. 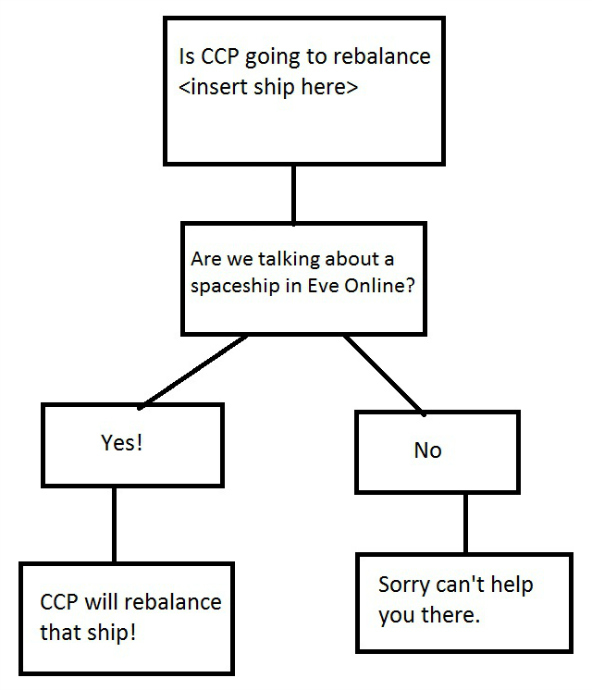 With all of the features that the CSM has been briefed on for Odyssey 1.1 now public, CCP has now turned their attention to starting to fill us in on preliminary ideas for the next expansion. But of course there will be lots more ground covered for that at the summit, which is now... yeesh... two weeks away. Time's going fast! CSM8's second Town Hall is also coming up this Saturday August 17 at 1900 EVE time. As I mentioned last week, you can find all the information that you need to attend at the EVE-O forums announcement thread. In the meantime, Xander Phoena continues his monthly CSM8 interviews. This month, the victims were Mike Azariah and Trebor Daehdoow, who had lots of interesting ground to cover. Xander continues to be one of the best interviewers around. And... I think that's all for this update! This week, we start pestering CCP Dolan to release the schedule of Summer Summit sessions (try saying that three times fast) so you guys will have something to ask us about on Saturday... hope to see you there! (1) This one makes me particularly happy because now I can have a couple of blank clones to fly dictors in. I haven't been able to fly dictors since Rote Kapelle bought me a couple of expensive tourney clones for AT10. You of course know of the medium LR weapon rebalance, but medium beams now out-damage medium pulses except with short range t2 ammo, and only by 1-2%. That really doesn't sit well with me. I can't offer a good solution sadly. I put the numbers up on page 19 of the appropriate forum post if you wouldn't mind taking a look. A too-short jump clone timer places the emphasis on jump clones as a travel tool. One of the options I really like that should work nicely for w-space is the ability to switch clones directly when you have your other clone in front of you. This could be really handy if combined with the ability to have multiple clones in one station (ratting clone, home defense clone, medical clone) and the ability to remove the clone from the station and stow it in your cargo bay in a special clone transporting container (a clone vat for courier services, rather than a clone vat bay for infomorph transferral). This could lead to capsuleers needing a dedicated clone freighting agency, to ensure that the high value clones they want to have in location X can be there when required. Keep up the good work, Jester. The open letter from the CPM was eye opening. I don't think it's down to reshuffling the DUST 514 teams, because their core gripes seem to be exactly the same ones that EVE players have had since forever. I won't reiterate them here, but it sure sounds like a corporate culture at work that infuses (infects?) everything they do with the same way of doing certain things badly. "schedule of Summer Summit sessions (try saying that three times fast)"
and then try it in a Sean Connery accent! I think you're underestimating the value of the jump clone skill. Yes, the difference between 19 and 20 hours is not much, and so training to level V is of very marginal value. It won't happen save for the most ancient characters who've got nothing better to do. But the difference between 24 hours and 20 (or even 21, which you'll get in hours) is huge. Poetic made the point pretty well a few days back. Adding more skills, just to give the vets something to train, is just a bad idea. The new skills - like the sensor compensation skills - don't take that long to train up, and since us vets don't have anything more important to train, we can slot them in immediately and skill them up to 5, while noobs are still struggling to juggle the basic set of skills up to 4. This increases the skill separation gap between the vets and the noobs - which is a bad thing. Rather than add new skills, which require little time to train up to 5, CCP should just add level 6 to some of the current skill sets. This fits in better with the idea of incrementally smaller improvements at the cost of longer training times, since the level 6 skills would take months, if not years, to train up. So, from 5 to 6, you'd only get an additional 2-5% improvement, in exchange for 6-12 months worth of training. Example... whereas adding the sensor compensation skills gave the vets a 20% bonus for sensor strength for all ships with only a month's training, training up Small Autocannon Specialization to level 6 would give only a 2% bonus in exchange for several months worth of training. This still gives the vets a slight advantage, yet also helps to slow down the increase in the skill gap between vets and noobs. BTW - CCP should also consider consolidating skills into less skills - esp. for the core skills. SP can be reimbursed to vets and applied to a new level 6 skill, so no loss there, while helping to reduce the SP barrier for noobs (which is still the #1 major complaint of new players).